Residents of Tacloban, the town in the central Philippines devastated by Typhoon Haiyan, have joined the Tzu Chi Foundation as volunteers after taking part in their cash-for-work program. The residents are full of gratitude for how the foundation has helped them clean up their town. Immediately after their arrival, the Tzu Chi volunteers started the “cash-for-work” program, on November 20; it gives a daily relief fund of 500 pesos to people to clean up their community. It is a way both to help bring the city back to normal and put badly needed cash into the pockets of the residents. It has given hope and strength to the typhoon survivors to rise again from the disaster; life at the disaster zone is slowly returning to normal. 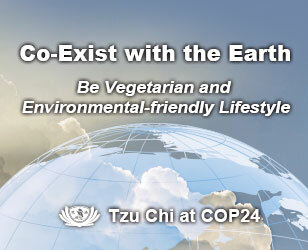 When interviewed, everyone thanked Tzu Chi for the help extended to them. Some wrote their gratitude on cardboards and placed them at the roadside for all to see. The program has led to an outpouring of gratitude from the residents. 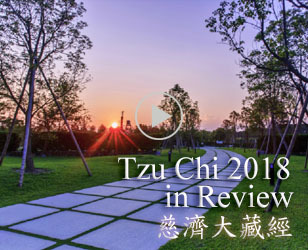 One said: “Tzu Chi taught us that we must work if we want to change our lives.” Another said: “Thank you, Tzu Chi, for giving us the work opportunity which was lacking after the disaster.” Putting their sorrow aside, more and more residents are coming forward to work with Tzu Chi in cleaning up their environment. 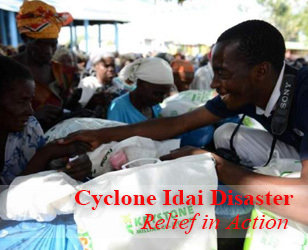 It is evident that the encouraging words from the Tzu Chi volunteers have helped the survivors to regain their natural optimism as well as helping them to rebuild their homes.